Epictetus was a Greek sage and Stoic philosopher, known for his philosophy on human actions and his fate. 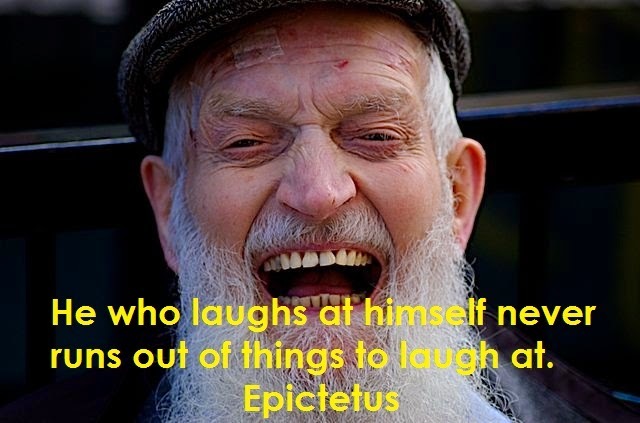 Here I have compiled down some of the best Epictetus quotes on life, fate and happiness, hope you will learn from them. There is only one way to happiness and that is to cease worrying about things which are beyond the power or our will. Seek not the good in external things;seek it in yourselves. If evil be said of thee, and if it be true, correct thyself; if it be a lie, laugh at it. To accuse others for one's own misfortune is a sign of want of education. To accuse oneself shows that one's education has begun. To accuse neither oneself nor others shows that one's education is complete. Don't seek to have events happen as you wish, but wish them to happen as they do happen, and all will be well with you. Circumstances don't make the man, they only reveal him to himself. The greater the difficulty, the more glory in surmounting it. Skillful pilots gain their reputation from storms and tempests. Don't explain your philosophy. Embody it. Demand not that things happen as you wish, but wish them to happen as they do, and you will go on well. Nature hath given men one tongue but two ears, that we may hear from others twice as much as we speak. If anyone tells you that a certain person speaks ill of you, do not make excuses about what is said of you but answer, "He was ignorant of my other faults, else he would not have mentioned these alone. Control thy passions lest they take vengeance on thee. Do not try to seem wise to others. Give me by all means the shorter and nobler life, instead of one that is longer but of less account!